For those new to Docker, let me say “Welcome to the party!” It’s an easy way to deploy, run, and manage applications using vm-like containers that are independent of elements like hardware and language, which makes these containers highly portable. And it’s all the rage. So how do you deploy Java apps using Docker? You’re in the right place. I’ll walk through the process step by step – from installing Docker, to installing Java inside a Docker container, to deploying and running an app. I’ll be using Linux for this demonstration. For the app, I’ll use Bitbucket Server (Atlassian’s behind-your-firewall Git repository manager), but you can substitute any other Java application you like. On any new box I need vim, curl, and Git to deploy my .dotfiles – otherwise I can’t function properly. Speaking of Git, did you know we offer a free Git tutorial site? It’s true! Check it out. Which means we have a base image based on Ubuntu 12.10 ready for our perusal. Ok. Now we can create a commit to save the state of this container in an image. 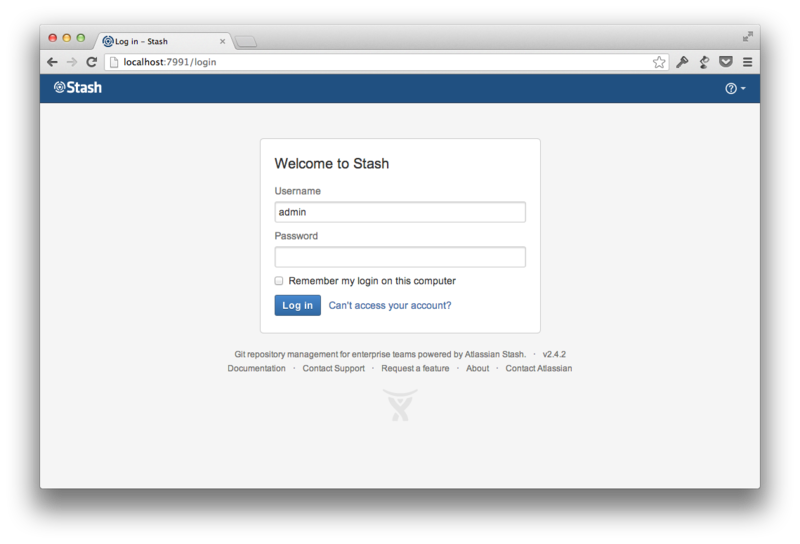 Now we can install our Java application – in this case Bitbucket Server – in our newly created durdn/java7 image. We can add content to an image in several ways: the docker insert command is one, but we can also use curl, wget, etc. To avoid startup errors we must add the unique id of this host 298af82e71ef to the /etc/hosts directory. Containers are ephemeral. Once torn down, they will be reset entirely to their snapshot state! This means your app installation will be reset every time you stop the container. To make sure data is preserved between runs we can use volumes, which will be shared and persisted between containers. We do this simply by reusing the volumes from older containers using the option -volumes-from. Voilá! Your application instance – with data persisted – is now running in the background as you can see by running docker ps.